YOUR SAMPLE FROM THE RECRYSTALLYZATION EXPERIMENT will be analyzed by melting point and mixed melting point. A sample must be dry (free of solvent) before an accurate melting point can be established. Melting point may be used to determine the purity of a compound based on its melting range or to determine the identity of an unknown given a source of known compounds. An impure compound melts lover than expected and has a larger than two degree range. A higher mp indicates a completely different compound may be present. The melting point of a solid is really a melting range, the sample should be heated at 1-2 degrees of Celsius / min. the first drop of liquid is the start if the range and the temperature at which total melting occurs is the upper limit of the range. It is best to take two melting points of an unknown; a quick melting point with heating 5-10 degrees of Celsius / min to get in the area of the real mp. The second, more accurate mp, should be done slowly at 1-2 degrees of Celsius / min per near the mp. Use a new sample each time and be sure the apparatus has cooled to below the mp between runs. The sample cannot be reused because decomposition may have taken place during the first heating. 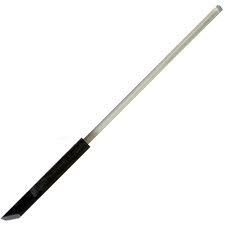 The sample is placed in a capillary tube with one end closed. Fill with about 2-3 mm of crystals. Place the open end of the capillary over the crystals and push onto the crystals. Then turn the capillary over and tap on the lab bench until the crystals fall to the closed end. When you have an idea of the identity of your compound you should carry out a mixed melting point with the authentic material that is available in the laboratory. To do this, mix a small amount of your unidentified material with the same amount of known material. Determine the mp of the mixture. 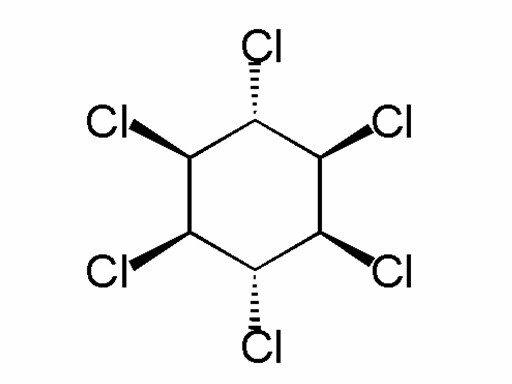 Of the two compounds are the same, there should be no change in melting point. However, if the unknown is something else, you will see a depressed mp with a broader range. Why? Try using the wrong compound intentionally. Simply comparing the mp of an unknown with the literature value is incomplete evidence to identify an unknown. Many organic compounds have identical melting points. You will determine many melting points throughout the semester. Be sure you understand the technique now. Always make sure youy compound is dry (free of water) and free of solvent before putting it in the mp capillary. It will not dry in the capillary and you will get erroneous results. 5. The cold solvent will keep impurities dissolved. Add decolorizing carbon (charcoal) to remove colored impurities. The step is skipped most often. Do not add the charcoal to a boiling solution because it will bump and boil over. Add a small amount of charcoal because you will lose good compound as well as colored impurities by adsorption to the charcoal. FILTER BY GRAVITY WHILE HOT (gravity filtration). This is the step that makes the recrystallization a success. It should never be omitted from a recrystallization. Remember this step for future recrystallizations. This step removes the charcoal and any undisclosed impurities. 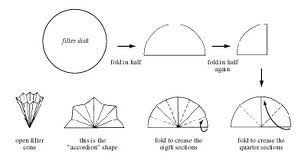 Use fluted filter paper. 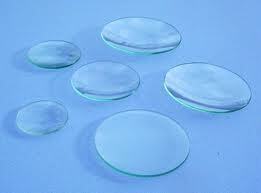 This provides a large surface area allowed for fast filtration. Recall: when you want the filtrate, use gravity filtration. Cool the filtrate from #4. Cool first in air and then later in an ice/water bath, ask your TA what to do if crystals don’t form. Perform suction filtration to isolate the compound, dissolved impurities stay in this filtrate. Recall: when you want the solid, use suction filtration. Dry the crystals in a safe place in your drawer. Do not bottle them as they need to dry. Do keep them safe. 1. Place 1.5 to 2.0 g of impure unknown in a 250 mL Erlenmeyer flask and dissolve in the minimum amount of boiling water using hot plate. You should know the exact mass of the amount of material you are using. There may be impurities insoluble in water and dark oil many form in the hot solution. If oil forms this is called “oiling-out” and usually happens when a compound melts near the boiling point of the solvent being used. The oil will eventually go in to solution although a small amount of additional solvent may need to be added. (Note: You should keep more water boiling in a separate flask than you think you will need- about 250 mL should do. Also, when performing the recrystallization, add the hot solvent. 2. The boiling solution is allowed to cool slightly, and a small amount (about 0.25 – 0.5g) of charcoal s added. Estimate this amount by using the tip of scoopula. If the charcoal is added to the boiling solution, it usually causes the solution to boil over the top over the flask. Never adda solid substance to a solution at or near its boiling point. 4. The clear filtrate is then allowed to cool slowly to room temperature. Continue cooling on an ice/water bath. After the cooled solution has stood in ice-water for about 30 minutes, crystals will form. If crystals don’t form, try scratching the side of the glass container below the solvent level with a stirring rod. This creates an uneven surface on which crystal formation may occur. You may also try adding a seed crystal (your TA may have one) to induce crystallization. If these fail you may have to concentrate your solution as you probably used more than a minimal amount of solvent. 5. Collect the crystals by suction filtration. Be sure you use a clean filtration flask. Clamp the filtration flask and turn the water aspiration on full. Wet the filter paper with the solvent you are using for recrystallization. After the filtration is complete, break vacuum by taking the hose off the filtering flask BEFORE turning off the water. Your TA may demonstrate. If you believe your aspirator is not doing the job, tell your TA so that it may be replaced for next time. 6. Dry the crystals on a watch glass or filter paper in your drawer until next week. Make sure they are stored safely but allow them to air dry. When they are dry, weigh carefully and record their melting point. From the melting point and mixed melting point determine the identity of your unknown. Please see the section on melting pint and mixed melting point. SAVE YOUR ENTIRE SAMPLE. You will run an Infrared Spectrum of this material. Proton NMR spectra will be provided. The filtrate is waste and should be placed in the aqueous acidic waste container. Report the total weight of pure compound obtained and calculate the % recovery. Add a minimum amount of boiling solvent to the beaker that contains the impure sample. Minimum amount of solvent will make sure that once your sample is dissolved, it will have a high concentration. High concentration is a must if you need t get crystals from it. If your solution is to dilute, you will have problems in getting a good yield. Always keep control over the amount of solvent you add. 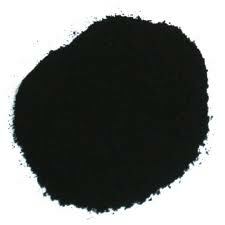 If the compound has colored impurities, you can add activated charcoal. DO NOT add activated charcoal to a boiling solution. Activated carbon has large number of small pores and air is trapped in it. If you add them in to boiling solvent, all that air is going to expand at once and your solvent will boil off. * This step is optional if there is no visible particulate matter and the solution is the expected color (most organic compounds are white or light yellow). If you added activated charcoal, you must do gravity filtration. * Fluted filter paper gives increased surface area for filtering. It can speed up the filtering process because of the increased surface area. 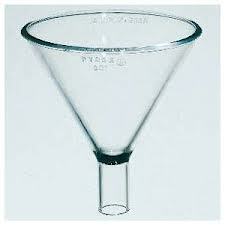 A stemless funnel is used for hot gravity filtration. A funnel with a stem is prone to premature recrystallization inside the stem because the filtrate can cool as it passes through the stem. At these cooler temperatures, crystals are likely to form. 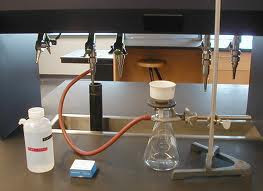 * If the funnel was properly heated before filtration, all of the solution will have passed through and no crystals will have formed on the paper or in the funnel. If crystals have formed, pouring a small amount of boiling solvent through the funnel will dissolve these. If the solution is still discolored after using activated carbon and filtering, either the color is from the compound and will not go away or you need to repeat the step with the addition of activated carbon. * The solution should be allowed to cool slowly to room temperature. Gradual cooling is conducive to the formation of large, well-defined crystals. When you are asked to draw any kind of a diagram, make sure you label each and every thing on your diagram. This is a point where lot of students lose marks! * You have to agitate the crystals with a fire polished glass-stirring rod before pouring the mother-liquor along with the crystals through the Buchner funnel. Apply the maximum amount of suction possible using the aspirator. * Some crystals may have been left behind in the beaker; there are two ways to affect a quantitative transfer of all of this material. 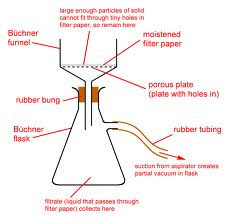 Either use a portion of the filtrate to rinse the beaker or use a rubber policeman on the end of your stirring rod to scrape the remaining crystals into the Buchner funnel. * When the crystals have been collected and washed, allow the aspirator to run for several minutes so that the crystals have an opportunity to dry. * When the crystals have been dried as much as possible in the Buchner funnel, use a scoopula to remove them to a beaker or crystallizing dish together with the filter paper. DO NOT try to remove the crystals until they dry completely. This will ensure that the crystals are not contaminated by filter paper fibers as they dry. * Spreading the crystals out in a beaker or a crystallizing dish will provide for the most efficient drying as the crystals will have a maximum of exposed surface area. * When the crystals are dried, the purity of the sample can be measured by performing a melting point determination. * If crystals don't form upon slow cooling of the solution to room temperature there are a variety of procedures you can perform to stimulate their growth. First, the solution should be cooled in an ice bath. Slow cooling of the solution leads to slow formation of crystals and the slower crystals form, the more pure they are. Rate of crystallization slows as temperature decreases so cooling with an ice bath should only be used until crystals begin to form; after they do, the solution should be allowed to warm to room temperature so crystal formation occurs more slowly. If no crystals form even after the solution has been cooled in an ice bath, take a fire polished stirring rod and etch (scratch) the glass of your beaker. The small pieces of glass that are etched off of the beaker serve as nuclei for crystal formation. If crystals still do not form, take a small amount of your solution and spread it on a watch glass. After the solvent evaporates, the crystals that are left behind can serve as seeds for further crystallization. Both these methods of nucleation (i.e. etching and seed crystals) cause very rapid crystallization, which can lead to the formation of impure crystals. * Crystals will not form if there is a large excess of solvent. If no crystals form with the methods already discussed, a portion of the solvent may need to be removed. This can be accomplished by heating the solution for a period of time in order to evaporate some solvent. The new, concentrated solution, should be cooled, and the previously mentioned methods to stimulate crystallization should again be attempted. * Another potential problem in recrystallization is that the solute sometimes comes out of solution in the form of impure oil instead of forming purified crystals. This usually happens when the boiling point of the solvent is higher than the melting point of the compound, but this is not the only scenario in which this problem presents itself. If this begins to happen, cooling the solution will not stimulate crystallization, it will make the problem worse. If an oil begins to form, heat the solution until the oil portion dissolves and let the whole solution cool. As the oil begins to form again, stir the solution vigorously to break up the oil. The tiny beads of oil that result from this shaking may act as the nuclei for new crystal formation. The element which is found in the fourth greatest abundance in the earth’s crust is also encountered everywhere in biological systems. These two facts about iron are not unrelated as nature has found it logical to adapt this plentiful element to perform a variety of functions. The fact that iron has two readily accessible oxidation states, Fe(II) and Fe(III), also contributes to its usefulness as an active component of proteins. The average adult human body contains 4-6 g of iron. In human beings, the majority of iron present is found in the blood in a protein called hemoglobin. The function of this protein is to transport oxygen from the lungs to the various tissues in the body where it is used to produce energy. One of the byproducts of this metabolism, carbon dioxide, is then transported back to the lungs by hemoglobin. Both the oxygen and carbon dioxide molecules bind to the iron ion present in hemoglobin during transport. Humans obtain the iron necessary for the formation of hemoglobin from their diet in foods such as meat and leafy, green vegetables. When the dietary intake is deficient in iron, a condition called anemia results. Someone who is anemic exhibits a lack of energy and often unusually pale skin tone (the red color of blood is also a result of the presence of iron in hemoglobin). Dietary supplements of iron in the form of vitamin tablets can be administered to help alleviate this condition. The tablets you will examine contain iron in the form of ferrous fumarate, [Fe(II)(C4H2O42–)]. The other variables in Beer’s law are: ε, a constant that is a characteristic of the absorbing species called the molar absorptivity, and l, the length of the absorption cell that contains the solution. You should read all of Section V. in the Techniques section of the lab manual/notebook to understand fully the instrumentation and principles involved in measuring the absorbance of a solution. Because the molar absorptivity value is not always a known quantity, a calibration curve is often constructed from a series of standard solutions. A standard solution is one in which the concentration of the species being analyzed is known. The absorbances of several standard solutions are measured, and these values are plotted as a function of the concentrations of the solutions. If the absorbing species behaves according to Beer’s law, such a plot should produce a straight line (see Eq. 1). The absorbance of a solution of unknown concentration can then be measured with the spectrophotometer, and this value can be used in conjunction with the calibration curve to determine the concentration of this solution. In this experiment, you will spectrophotometrically analyze a commercially available vitamin tablet in order to determine the quantity of iron that is contained in the tablet. To do this, the iron will first be converted into a form that absorbs radiation in the visible region. 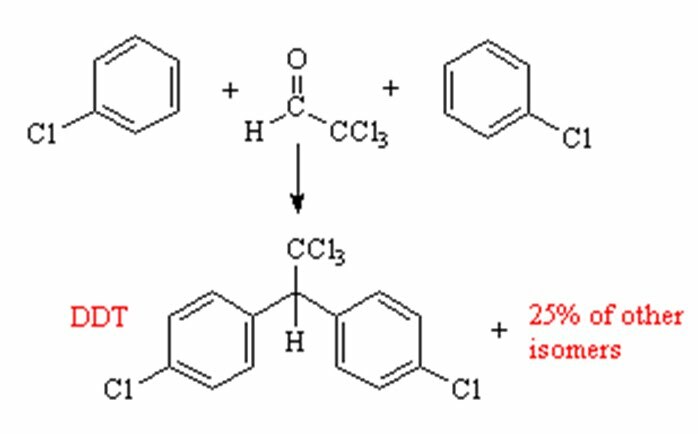 This conversion will be done by reacting the iron with an organic compound called 1,10-phenanthroline. 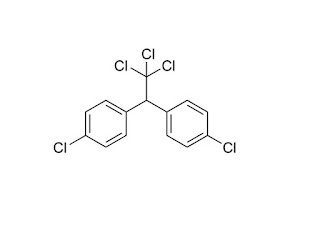 The structure of this molecule is shown in Figure 1. 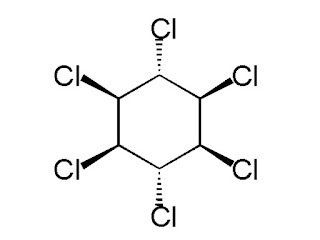 It reacts with Fe(II) to form an ionic compound that contains one iron ion and three 1,10-phenanthroline molecules (the structure of this compound is also shown, in Figure 2). The color of this compound in solution is bright red-orange; consequently, it absorbs light very strongly in the visible region at a wavelength of 508 nanometers. 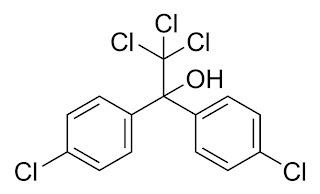 You will react 1,10-phenanthroline with a vitamin tablet that has been dissolved in hydrochloric acid. In order for this reaction to occur, the iron ions that are present must be in the Fe(II) oxidation state. Since Fe(II) is easily oxidized to Fe(III) in the presence of acid and water, a reducing agent called hydroquinone is added to the solution. In addition, it is important that the acidity of the solution is carefully controlled or compound 1 will not form; the presence of sodium citrate in solution will neutralize some of the acid and maintain the proper pH. The resulting solution will be diluted to an appropriate concentration and its absorbance measured. A spectrophotometric calibration curve will then be constructed from a series of standard solutions which contain known concentrations of the iron–1,10-phenanthroline compound (1). The concentration of iron in your sample solution, and thus the amount of iron contained in the vitamin tablet, cansubsequently be calculated. Grind a vitamin tablet with a mortar and pestle (it does not have to be finely ground). 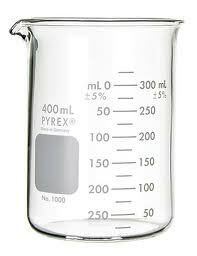 Obtain 25 mL of 6 M hydrochloric acid in a 150 mL beaker and place the ground vitamin tablet in this solution. Swirl the beaker and wait a few minutes for evidence of a reaction. After the initial reaction has subsided, place the beaker on a hot plate in a fume hood, cover with a watchglass and heat to boiling. Boil the mixture for 15 minutes. You may need to add more distilled water during the boiling period if the volume falls below about 15 mL. Remove the beaker from the hot plate and rinse the bottom of the watchglass using a wash bottle, catching the rinse water in the reaction beaker. Filter the solution while still warm by gravity filtration (see TECH I.G) directly into a 100 mL volumetric flask. Rest the funnel in a wooden funnel holder. While the solution is filtering, heat some distilled water in a 250 mL beaker on a hot plate. When the filtration is completed, use small amounts of this hot water to rinse out the beaker, pouring the rinse water on the solid residue contained in the filter paper such that it filters into the 100 mL volumetric flask. Then use small amounts of the hot water to wash the residue two more times. Be careful not to overshoot the mark on the volumetric flask with these rinses. 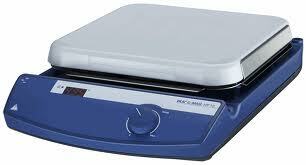 Turn off the hot plate. Allow the solution in the volumetric flask to cool to room temperature, then dilute to the mark with distilled water and mix. Be sure to add the final amount of water to the volumetric flask with a dropper so that you do not overshoot the calibration mark! This solution in the volumetric flask is what we will call the “original” iron solution. Pour this solution into a clean, dry 250 mL Erlenmeyer flask, label it with the words “Original Iron Solution” and set aside. Rinse the volumetric flask three times with small portions of distilled water, discarding the rinses into the sink. Obtain a 5 mL volumetric pipet and rinse it two or three times with small portions of the solution contained in the Erlenmeyer flask (see TECH II.D). Pipet 5 mL of the iron solution into the volumetric flask, dilute to the mark with water and mix. Label the volumetric flask "Flask A". [Set aside the Original Iron Solution in case you make a mistake during the dilution procedures. When you are finished with the experiment, pour this solution into the Laboratory Byproducts jar labeled Iron + HCl.] Determining the amount of sodium citrate required to maintain the proper pH Obtain a 10 mL volumetric pipet and rinse it two or three times with small portions of the solution contained in Flask A (the volumetric flask). Label a clean, dry 125 mL Erlenmeyer flask "Flask B", then pipet 10 mL of the solution in Flask A into Flask B. Obtain about 8 mL of sodium citrate solution in a graduated cylinder and a strip of indicator paper. Add the sodium citrate solution dropwise to the solution in Flask B, counting the drops as you add them. After you have added 10 drops, test the solution with the indicator paper. The paper should turn yellow-green, indicating that a pH between 3 and 4 has been reached (a color chart will be available for comparison purposes). If a pH lower than 3 is indicated, continue to add sodium citrate solution dropwise, checking the solution with the indicator paper after every four or five drops until the proper color is reached. If a pH higher than 4 is indicated, start over with a new 10 mL aliquot of the solution from Flask A, and add less than 10 drops of sodium citrate before testing the pH. Record the total number of drops of sodium citrate that were required to reach a pH of 3 to 4 in your notebook. The second dilution and conversion of iron to the iron-1,10-phenanthroline compound Label a clean, dry 250 mL Erlenmeyer flask "Flask C". Pour the contents of Flask A into Flask C and set aside. Rinse the volumetric flask (Flask A) with distilled water (discard the rinses in the sink). Pipet 10 mL of the solution in Flask C into the volumetric flask. Add the same number of drops of sodium citrate which were required to properly neutralize the solution (the number recorded in your notebook). Then add 2 mL of hydroquinone solution and 3 mL of 1,10-phenanthroline solution to the volumetric flask and swirl. Dilute to the mark with distilled water and mix thoroughly. Let this solution stand for at least 15 minutes before measuring the absorbance. Set the wavelength at 508 nanometers. Note! Never put acetone into a cuvet as it will “cloud” the plastic. Each group assigned to a spectrophotometer must obtain the absorbance readings of the standard solutions provided using their instrument. 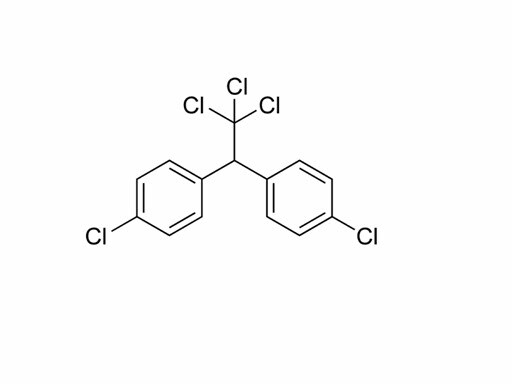 The standard solutions contain the iron-1,10-phenanthroline compound, 1, in water at the following concentrations: 0.500 x 10-5 M; 1.00 x 10-5 M; 2.00 x 10-5 M; 3.00 x 10-5 M; 5.00 x 10-5 M. Use distilled water to "zero" the instrument before measuring the standard solutions. 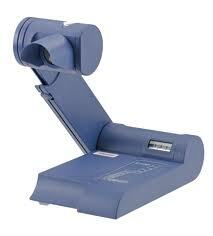 You need to make a new “blank” solution to “re-zero” the spectrophotometer before measuring the sample solution. Place one drop of sodium citrate solution, one drop of hydroquinone solution and one drop of 1,10-phenanthroline solution into a cuvet which has been thoroughly rinsed with water. Dilute almost to the top of the cuvet with distilled water, and stir gently with a small stirring rod. Use this solution to zero the instrument, then obtain the absorbance reading of your sample solution (the contents of the volumetric flask), rinsing the cuvet first with small portions of the solution. Pour the final sample solution (in the volumetric flask) and the standard solutions into the Laboratory Byproducts jar labeled Iron-1,10-phenanthroline. Discard the Original Iron Solution into the Laboratory Byproducts jar labeled Iron + HCl. Use the program Excel to plot the calibration curve. Follow the instructions to draw the “best fit” line through the data points. Use the LINEST function to determine the slope and y-intercept. Follow the instructions in TECH IV to find the concentration, in molarity, of your sample solution using Excel. Print the plot and data table, and hand them in with your report. Calculate the concentration of iron in your original iron solution (the solution in the volumetric flask which was obtained after the boiling and filtration steps) in molarity. Remember, there are 2 dilution factors! for a discussion of dilution calculations. In this case, the unknown quantity is the initial molarity. Knowing the concentration of your “original” iron solution, you can now calculate the number of milligrams of iron in the vitamin tablet (see Eq. 3). After filtering the hot solution of the vitamin tablet in hydrochloric acid, a student does not rinse the beaker with hot water. Would the omission of this step result in an absorbance reading for the final solution that was too high or too low? Explain. What will be the effect on the value reported for the amount of iron in the vitamin tablet? Is your calibration curve a good example of Beer’s Law? Why or why not? Calculate the value for molar absorptivity, ε, based on the calibration curve that you prepared. Assume the length of the cell, l, is 1.00 cm. Be sure to include the units! List the important sources of error in this experiment and what effect each would have on the results. Discuss in particular any errors that you may have made. beverage can into the chemical compound potassium aluminum sulfate, KAl(SO4)2•12 H2O, commonly referred to as alum. “But how will we know that everything really worked ok and that it’s really alum that you produced? I think we need to implement some quality control measures,” Diane observed. “In order to confirm that your synthesis of alum resulted in the desired product, we need to perform a qualitative analysis of the compound." Qualitative analysis is the name given to the process whereby the identities of the elements or substances present in a sample are determined through the use of simple chemical tests. In this case, chemical reactions will be performed with an alum sample that will confirm the presence of K+, Al3+ and SO42–. barium chloride is a positive test for the presence of sulfate ion, SO42–. The second test is performed to confirm the presence of potassium and is a flame test. Potassium is volatilized at the very high temperature of a flame (about 1000°C) at which point it imparts a bluish-purple color to the flame. After a few seconds in the flame, the sulfur dioxide will be driven off of your alum sample, and the solid material remaining will consist of aluminum oxides. The third test confirms the presence of aluminum ion and involves its reaction with potassium hydroxide. A wispy, gelatinous precipitate of Al(OH)3 will form upon addition of a small amount of KOH to the aqueous alum solution. Further addition of KOH will cause the precipitate to re-dissolve. calculate the percent yield of the process once we’ve made the alum,” Diane said. From the stoichiometry of the reaction, determine the expected number of moles of product. A review of the above reactions reveals that there is a 1:1 relationship between the aluminum containing reactant and the aluminum containing product in all cases. Therefore, one mole of aluminum metal should produce one mole of alum. From the expected number of moles of product, calculate the expected mass of product or the theoretical yield. Calculate the percent yield by dividing your actual yield by the theoretical yield and multiplying by 100. Observations of the physical appearance of the compound. solid compound. Check this procedure with your TA before beginning. Both acids and bases are corrosive materials that should never be tasted in the laboratory and should not come into contact with your skin. They have an additional property wherein they will react with certain dyes known as acidbase indicators. A very common acid-base indicator is called litmus. An acid will react with litmus to produce a red color, while the reaction of a base with litmus produces a blue color. Some compounds are neither acidic nor basic and are referred to as neutral compounds. These compounds will not change the color of neutral litmus paper. Thus, a simple and safe test for determining the acidity or basicity of a solid compound is to dissolve it in water and test the resulting solution with litmus paper. Note: Make sure that you have "neutral" litmus paper in your drawer, not "red" or "blue". If you do not have the correct paper, trade it in at the stockroom. 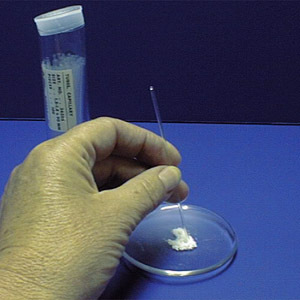 The proper technique for testing a solution with indicator paper is to remove a drop of the solution with a stirring rod and place it on a piece of the paper. Do not place the paper directly into the solution being tested. Be sure to rinse off the stirring rod with water before placing it in the next solution you test. Before testing any of the compounds, place a drop of water, a neutral compound, on a piece of neutral litmus paper. The color of the paper in water provides you with a reference against which you can compare the color of the paper that results from other tests. In addition to the litmus test, and especially if the compound is insoluble. In water, it is useful to observe its behavior in acidic and basic solutions. If the compound is acidic, it will react with a solution of a base, such as sodium hydroxide, NaOH. If it is basic, it will react with a solution of an acid, such as hydrochloric acid, HCl. Evidence that a reaction has occurred can include dissolution of the solid, evolution of a gas (bubbles) or generation of heat. A neutral compound may or may not react with an acid or base. Compounds that have both acidic and basic properties also exist and are called amphoteric. Note: a 10% solution contains 10 g of the compound dissolved in 90 g of the solvent (water, in this case). chemicals. If either of these solutions comes into contact with your skin, rinse it with copious amounts of water. Some of the unknowns are also corrosive. Always assume that an unknown compound is toxic and potentially dangerous and use the proper precautions. Acetone, hexane and ethanol (organic solvents) are all flammable. Keep away from open flames and heat sources! performed and which observations were yours). comparing the results of careful observations and tests that you make on the unknown to observations and tests made on a series of standard compounds. You will work with a team to characterize the standards. When Jason’s great uncle Frederick passed away, his parents asked him to help out by sorting through the items that Uncle Fred had stored away in his attic. In a dusty corner behind an old chair, Jason found an antique apothecary chest with nine stoppered bottles inside. Each bottle contained a white powder, however, all the labels had fallen off of the bottles. Jason found the labels in a small pile at the bottom of the chest. Excited about his find, Jason immediately made plans to take the apothecary chest to “The Antiques Roadshow”, which was due to visit nearby Providence in three weeks, to have it appraised. He felt that it would make a more impressive showing if the labels were actually affixed to the bottles. Being a perfectionist, he wanted to put the correct labels on the correct bottles, but all of the powders looked so similar that their appearance did not provide a clue as to their identities. The names on the labels were relatively common materials that he could find in his own home or easily obtain in a pharmacy, grocery or hardware store: baking soda, aspirin, corn starch, an ingredient found in fertilizer, caffeine, chalk, caustic lime, Epsom salt and borax. He decided to perform some tests to identify each of the nine substances. The experiment In today's experiment, you and the members of your group will perform the same tests that Jason has to carry out in order to solve his dilemma. The nine "known" compounds, or standards, will be provided for you. Work in a group of three or four people to fully characterize these standard compounds. Each student should characterize two or three standards. In addition, each student will be given a test tube that contains a solid, white compound that is one of the nine substances found in Uncle Fred's chest. You are responsible for identifying and fully characterizing this unknown compound. Record the code number of your test tube in your lab notebook. A more sensitive test for phenols consists of dissolving or suspending 15 mg of the unknown in 0.5 mL of methylene chloride and adding 3-5 drops of a 1% solution ferric chloride in methylene chloride. Add a drop of pyridine and stir. Addition of pyridine and stirring will produce a color if phenols or enols are present. The iron (III) chloride test for phenols is not completely reliable for acidic phenols, but can be administered by dissolving 15 mg of the unknown compound in 0.5 mL of water or water-alcohol mixture and add 1 to 2 drops of 1% aqueous iron (III) chloride solution. A red, blue, green, or purple color is a positive test. 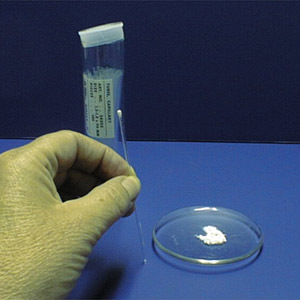 Since the quantity of material is extremely small, the test solution can be diluted with water and flushed down the drain. A few drops or a few crystals of the unknown sample are dissolved in 1mL of methanol and slowly added to 1 mL of a saturated solution of sodium bicarbonate. Evolution of a carbon dioxide gas is a positive test for the presence of the carboxylic acid and certain phenols listed in the Complications section. Negatively substituted phenols such as nitrophenols, aldehydrophenols, and polyhalophenols are sufficiently acidic to dissolve in 5% sodium bicarbonate. See procedure for solubility tests with water. Heat a small sample on a spatula. 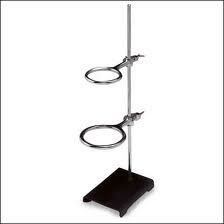 First, hold the sample near the side of a bunsen burner to see if it melts normally and then burns. Heat it in the flame. Aromatic compounds often burn with a smoky flame. Dissolve 1 drop or 0.02 grams of the unknown in 0.5 mL reagent grade acetone. Add a 1% aqueous solution of potassium permanganate dropwise with shaking. If more than one drop of reagent is required to give a purple color to the solution, unsaturation or an easily oxidized functional group is present. Run parallel tests on pure acetone and, as usual, the standards listed above. The disappearance of the KMnO4's purple color and the appearance of a brown suspension of MnO2 is a positive test. Water insoluble compounds should be dissolved in ethanol, methanol, or acetone. Often, the brown precipitate fails to form and the solution turns reddish-brown. Easily oxidized compounds give a positive test: a) Most aldehydes give a positive test. b) Formic acid and its esters give a positive test. Alcohols with trace impurities give a positive test. Phenols and aryl amines give a positive test. 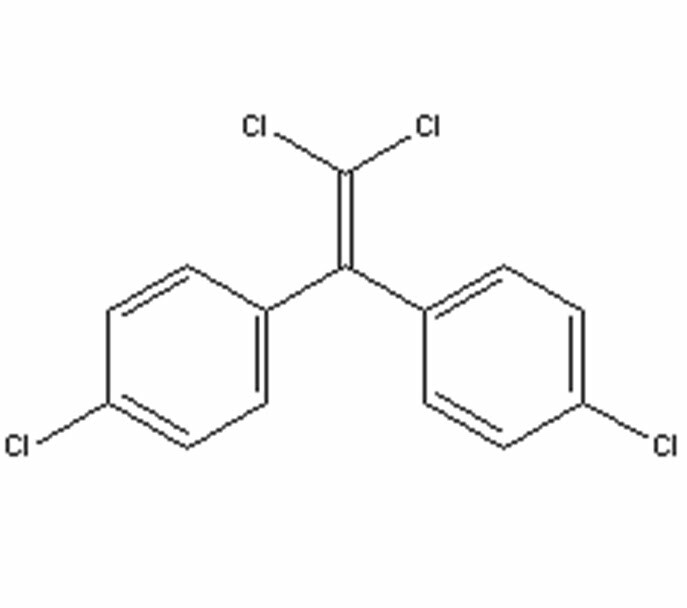 Carbonyl compounds which decolorize bromine/methylene chloride usually give a negative test. The solution should be diluted with water and flushed down the drain. Any solutions containing organic compound should be placed in the appropriate waste container. In a hood, 0.02 g or 1 drop of the unknown is added to 0.5 mL of methylene chloride. Add a dilute solution of bromine in methylene chloride dropwise, with shaking, until the bromine color persists. The bromine solution must be fresh. Discharging of the bromine color without the evolution of hydrogen bromide gas is a positive test. Should be employed in conjunction with Baeyer test (dilute KMnO4). Electron-withdrawing groups in the vinylic position can slow down bromine addition to the point that a negative test is erroneously produced. Tertiary amines (like pyridine) form perbromides upon treatment with bromine and lead to false positive tests. Aliphatic and aromatic amines can discharge the bromine color without the evolution of HBr gas. The solution should be placed in the appropriate waste container. 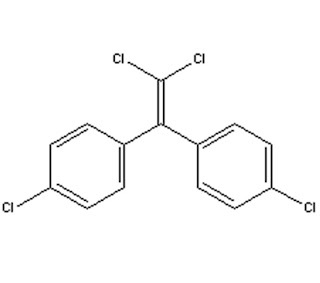 Any halogenated compound as a positive standard, such as, 1-Bromobutane, and any non-halogenated compound, such as 1-Butanol, as a negative standard. Heat the tip of a copper wire in a burner flame until there is no further coloration of the flame. Let the wire cool slightly, then dip it into the unknown (solid or liquid" and again, heat it in the flame. A green flash is indicative of chlorine, bromine, and iodine; fluorine is not detected because copper fluoride is not volatile. The Beilstein test is very sensitive, thus halogen-containing impurities may give misleading results. A green flash is indicative of chlorine, bromine, and iodine, but NOT fluorine. In a test tube place 0.25 mL or 0.2 g of your unknown. Add 2 mL of a 15% solution of sodium iodide in acetone, noting the time of addition. After the addition, shake the test tube well to ensure adequate mixing of the unknown and the solution. Record the time needed for any precipitate to form. After about 5 minutes, if no precipitate forms, place the test tube in a 50oC water bath. Be careful not to allow the temperature of the water bath to go above this temperature since the acetone will evaporate, giving a false positive result. After 6 minutes more in the bath, if no precipitates are visible, remove the test tube and let it cool to room temperature. Note any change that might indicate that a reaction has occurred. Continue slow reactions for up to 45 minutes at room temperature. The formation of a white precipitate indicates the presence of halides. When the sodium iodide solution is added to the unknown, a precipitate of sodium iodide might occur leading to a false positive test. Upon mixing, the precipitate of sodium iodide should dissolve. Place approximately 0.25 mL of each compound into a test tube. Add 2 mL of a 1% ethanolic silver nitrate solution to the material in each test tube, noting the time of addition. After the addition, shake the test tube well to ensure adequate mixing of the compound and the solution. Record the time required for any precipitates to form. If no precipitates are seen after 5 minutes, heat the solution on the steam bath for approximately 5 minutes. Note whether a precipitate forms in the test tube. Continue slow reactions for up to 45 minutes at room temperature. Carboxylic acids have been known to react in this test, giving false positives. To 0.2 mL or 0.2 g of the unknown in a test tube add 2 mL of the Lucas reagent at room temperature. Stopper the tube and shake vigorously, then allow the mixture to stand. Note the time required for the formation of the alkyl chloride, which appears as an insoluble layer or emulsion. The Lucas reagent is already prepared for you. The test applies only to those alcohols soluble in the reagent (monofunctional alcohols lower than hexyl and some polyfunctional alcohols.) This often means that alcohols with more than six carbon atoms cannot be tested. Place all solutions in the appropriate waste container. Labels: 1-Butanol, 2-Butanol, Lucas Test, Secondary Alcohols, t-Butyl alcohol. Dissolve 10 mg or 2 drops of the unknown in 1 mL of pure acetone in a test tube and add to the solution 1 small drop of Jones reagent (chronic acid in sulfuric acid). A positive test is marked by the formation of a green color within 15 seconds upon addition of the orange-yellow reagent to a primary or secondary alcohol. Aldehydes also give a positive test, but tertiary alcohols do not. The Jones reagent will already be prepared for you. A positive test for aldehydes and primary or secondary alcohols consists in the production of an opaque suspension with a green to blue color. 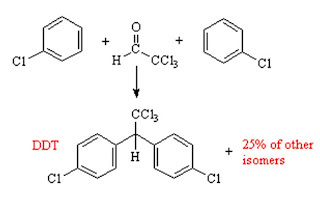 Tertiary alcohols give no visible reaction within 2 seconds, the solution remaining orange in color. Disregard any changes after 15 seconds. Enols may give a positive test. Phenols give a dark colored solution which is not blue-green like a positive test. If the substance to be tested is water soluble, dissolve 4 drops of a liquid or an estimated 50 mg of a solid in 2 mL of water in a large test tube. Add 2 mL of 3 M sodium hydroxide and then slowly add 3 mL of the iodine solution. Stopper the test tube and shake vigorously. A positive test will result in the brown color of the reagent disappearing and the yellow iodoform solid precipitating out of solution. If the substance to be tested is insoluble in water, dissolve it in 2 mL of 1,2-dimethoxyethane, proceed as above, and at the end dilute with 10 mL of water. Formation of solid iodoform (yellow) is a positive test. (Iodoform can be recognized by its odor and yellow color and, more securely, from the melting point 119o-123oC). Place solutions in the appropriate waste container. Dissolve 10 mg or 2 drops of the unknown in 1 mL of pure acetone in a test tube and add to the solution 1 small drop of Jones reagent (chronic acid in sulfuric acid). A positive test is marked by the formation of a green color within 5 seconds upon addition of the orange-yellow reagent to a primary or secondary alcohol. Aldehydes also give a positive test, but tertiary alcohols do not. Aldehydes are better characterized in other ways. The color usually develops in 5-15 seconds. Place the test solution in the appropriate waste container. Add one drop or a few crystals of unknown to 1 mL of the freshly prepared Tollens reagent. Gentle heating can be employed if no reaction is immediately observed. Tollens reagent: Into a test tube which has been cleaned with 3M sodium hydroxide, place 2 mL of 0.2 M silver nitrate solution, and add a drop of 3M sodium hydroxide. Add 2.8% ammonia solution, drop by drop, with constant shaking, until almost all of the precipitate of silver oxide dissolves. Don't use more than 3 mL of ammonia. Then dilute the entire solution to a final volume of 10 mL with water. Formation of silver mirror or a black precipitate is a positive test. The test tube must be clean and oil-free if a silver mirror is to be observed. Easily oxidized compounds give a positive test. 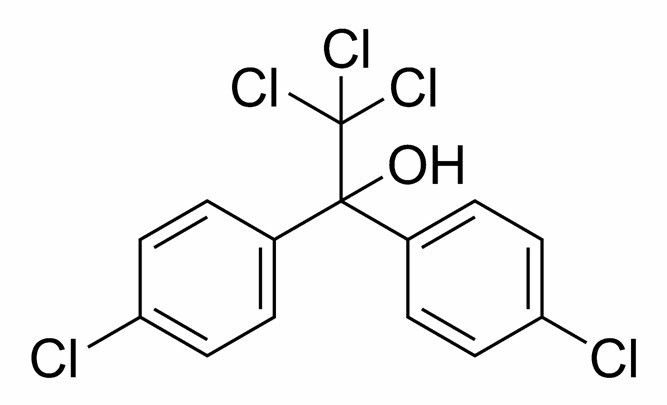 For example: aromatic amine and some phenols. Place all solutions used in this experiment in an appropriate waste container. Add a solution of 1 or 2 drops or 30 mg of unknown in 2 mL of 95% ethanol to 3 mL of 2,4-dinitrophenylhydrazine reagent. Shake vigorously, and, if no precipitate forms immediately, allow the solution to stand for 15 minutes. 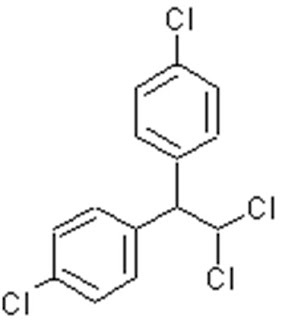 The 2,4-dinitrophenylhydrazine reagent will already be prepared for you. Formation of a precipitate is a positive test. Some ketones give oils which will not solidify. 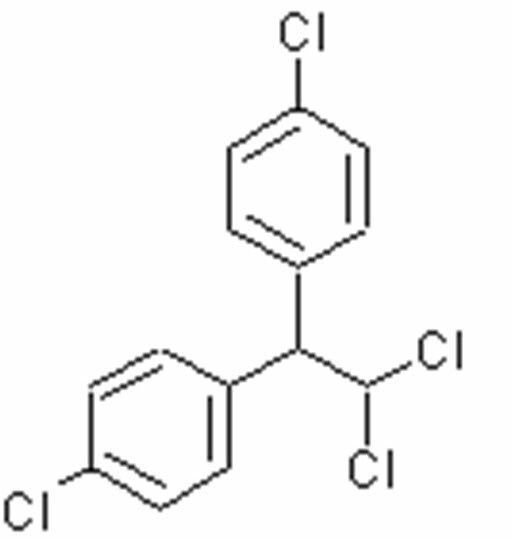 Some allylic alcohols are oxidized by the reagent to aldehydes and give a positive test. Some alcohols, if not purified, may contain aldehyde or ketone impurities. The analysis and identification of unknown organic compounds constitutes a very important aspect of experimental organic chemistry. There is no definite set procedure that can be applied overall to organic qualitative analysis. Sundry books have different approaches, but a systematic approach based on the scheme given below will give satisfactory results. Qualitative tests that require substantial quantities of a number of (often hazardous) chemicals to be stocked in the lab for experimental use are frequently being phased out of organic chemistry in favor of modern spectroscopic techniques. In order to deduce the identity of your two unknowns, you will combine one qualitative test, that for the classification of halides, with modern analytical techniques of infrared spectroscopy (IR) and mass spectrometry (MS). An elaboration on qualitative tests can be found in this Appendix and Hornback on page 291. Note physical characteristics: solid, liquid, color, and odor. Compounds that are yellow to red in color are often highly conjugated. Amines often have a fish-like odor, while esters usually have a pleasant fruity or floral smell. Acids have a sharp, biting odor. Odors can illicit information about your unknown; it is wise to sniff them with caution. 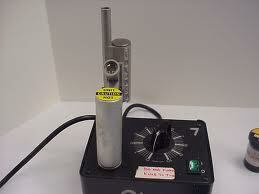 Some compounds can have corrosive vapors or make you feel nauseous. Determine the boiling point or melting point. Distillation is recommended in case of liquids. 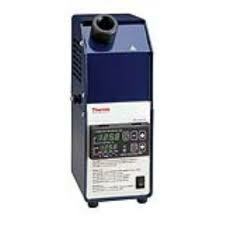 It serves the dual purpose of determining the boiling point as well as purifying the liquid for subsequent tests. After analysis of the previous tests and the compound's IR spectrum, if needed, further information can be deduced by performing carefully selected functional group classification tests. 1st modern pesticide and one of the best known synthetic pesticides. It was developed early in the world war II & initially used to combat mosquitoes spreading malaria, & other insect born human diseases among both military & civilian population & as an agricultural insecticide. Paul Mϋller was awarded the Nobel prize in Medicine in 1948 for discovery of DDT. Lindane produces histopathalogical changes in the liver.